The federal Department of Education recently issued new student loan regulations barring the use of pre-dispute arbitration clauses. In so doing, it relied in part on ‘Whimsy Little Contracts’ with Unexpected Consequences: An Empirical Analysis of Consumer Understanding of Arbitration Agreements, 75 Maryland Law Review 1 (2015), authored by Professor Jeff Sovern, Professor Elayne E. Greenberg, Dean Paul F. Kirgis, and Yuxiang Liu. The Department cited “Whimsy Little Contracts” for the proposition that “consumers commonly lack understanding of the consequences of arbitration agreements.” 81 FR 75926-01, 76028 2016 WL 6408735. The nearly-300 page document explaining the new regulations cited only three other law review articles. The article has drawn attention from other quarters as well. On August 3, 65 members of Congress joined in a letter supporting the Consumer Financial Protection Bureau’s proposed arbitration regulation, which quoted a letter from 210 law professors. 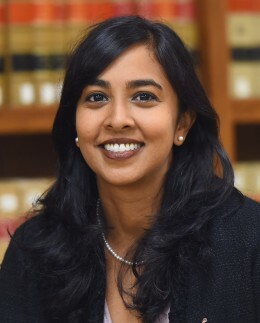 The first article cited in the law professor letter is “Whimsy Little Contracts.” The article had previously been discussed by the CFPB in its 2015 Arbitration Report, and has been cited more than twenty times, including by the New Jersey Supreme Court in Morgan v. Sanford Brown Institute, — A.3d –, 225 N.J. 289 (2016).